time we are using stock or any lockscreen with notifications shown over that lockscreen. v4.0/4.1 too if you have installed WidgetLocker app. All types of notifications including SMS, e-mails, whatsapp chats,etc. You have control on total customization with size of clock, notifications size, text color, background, and many features as per displayed under Appearance settings tab after you activate and puts a lockscreen widget of NiLS app. Why do You get a warning saying that NiLS app collects your passwords and credit card numbers? 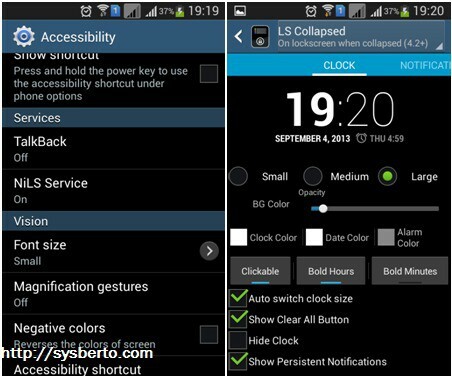 As per developer this is a standard Android warning for every accessibility service, but you have nothing to worry about – this app does not do anything evil, it’s open-source and you can browse the code yourself to see it. It even does not have internet permissions, so it can’t send data anywhere. Why do the notifications not cleared from the status bar when I clear it from the widget? After trying this app on our Samsung Device running v4.2.2, we may confirm that this app works bestfit for filling the ugly looking gap under your lockscreen clock and other things. As Per mentioned, you have full rights to customize it appearance as you want. 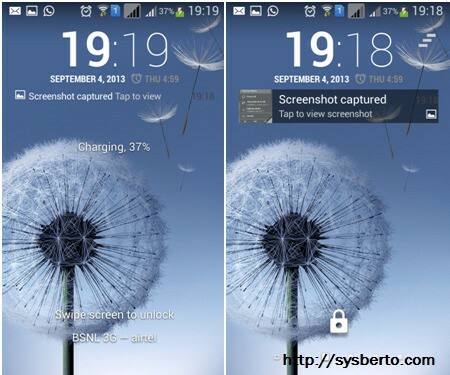 This will surely fill up all your empty space between your lockscreens clock and other widgets.